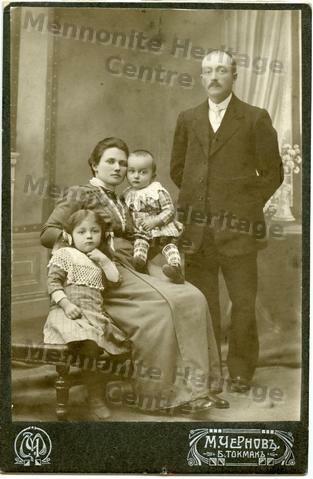 This photo is of Peter Dyck and his wife Maria Dyck (Maria Engbrecht) posing for a formal photograph with their two children Barbara and Jacob. They are well dressed. This photo was taken in Russia.